Pearl – True Multi-niche WordPress Theme Created by StylemixThemes. This templates have specific characteristics, namely: Pearl has features such as High Resolution: Yes, Widget Ready: Yes, Compatible Browsers: IE10, IE11, Firefox, Safari, Opera, Chrome, Compatible With: WPML, WooCommerce 3.1.x, WooCommerce 3.0.x, Gravity Forms 1.9.x, Visual Composer 5.1.x, AngularJS 2, Bootstrap 4.x, Bootstrap 3.x, Software Version: WordPress 4.8.x, WordPress 4.7.x, Columns: 4+ . You can use this Pearl – True Multi-niche WordPress Theme on WordPress category for beauty salon, blog, business, church, coach, construction, consulting, corporate, ecommerce, multipurpose, music, portfolio, restaurant, transportation, travel and another uses. Pearl is the first true Multi-Niche Bundle WordPress theme on the market. We say “No!” to fake demos, “No!” to just replacing images or fonts, and “No!” to months of development. Pearl is truly one of a kind. Every niche demo included with this theme has been carefully tailored to the exact nature of the industry, and designed and developed to include every feature and functionality you could need for your purpose. As you will see, each niche demo is a masterpiece. Now you can create a professional, fully functional WordPress website without a single line of coding! The flexible and intuitive theme options and user-friendly interface make it possible for anyone to build a stunning and high performing website, without any coding knowledge. 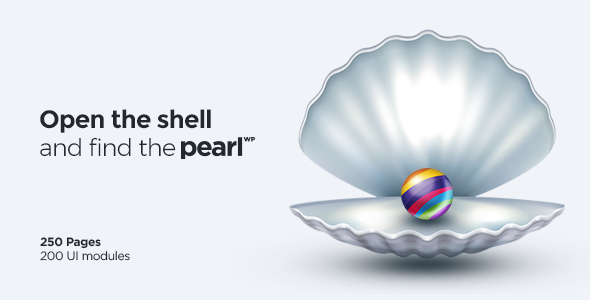 With infinite possibilities and outstanding 24/7 support, Pearl is the most multi-functional and easy-to-use theme on Themeforest. Advanced Theme Options panel in WordPress panel with all global settings is very intuitive to use. Choose how you want to display your services, portfolio or case studies for maximum impact. Pearl is a fully optimized WordPress theme, built with SEO mind, so you can be confident that you will rank highly on search engines, and attract more visitors than ever before.